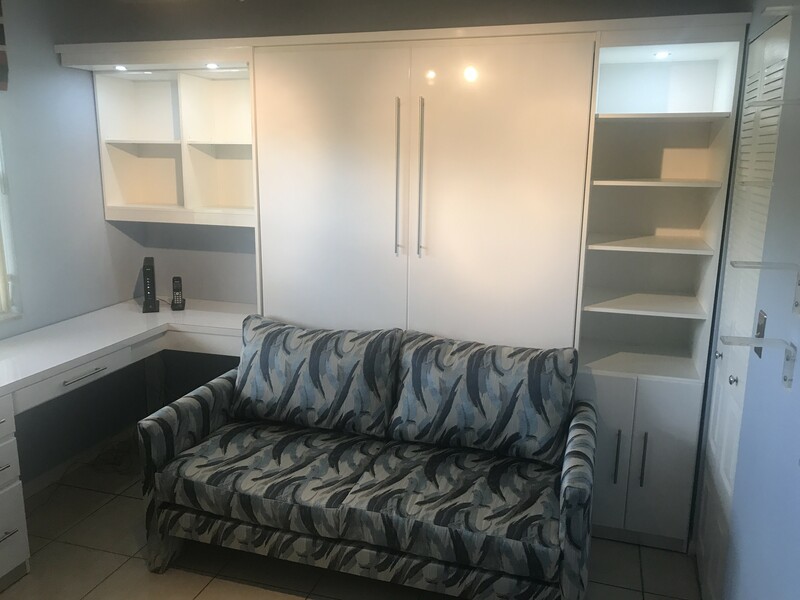 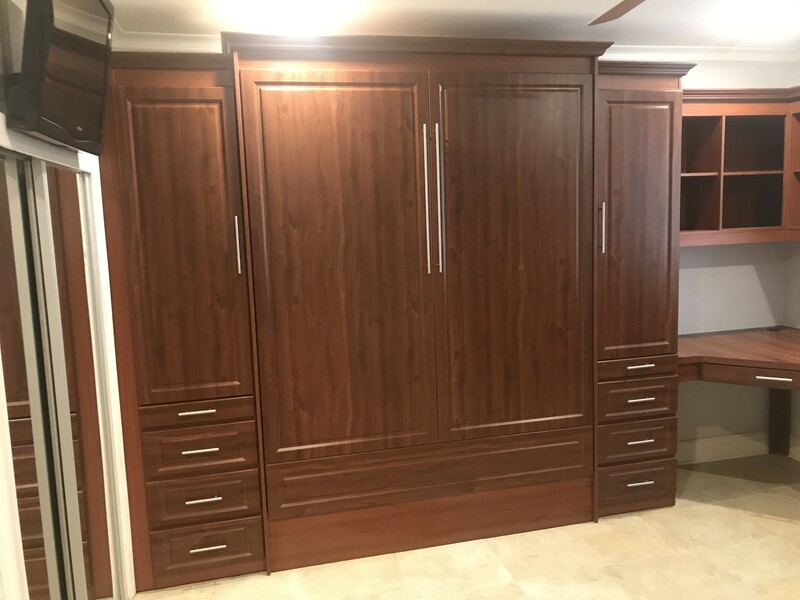 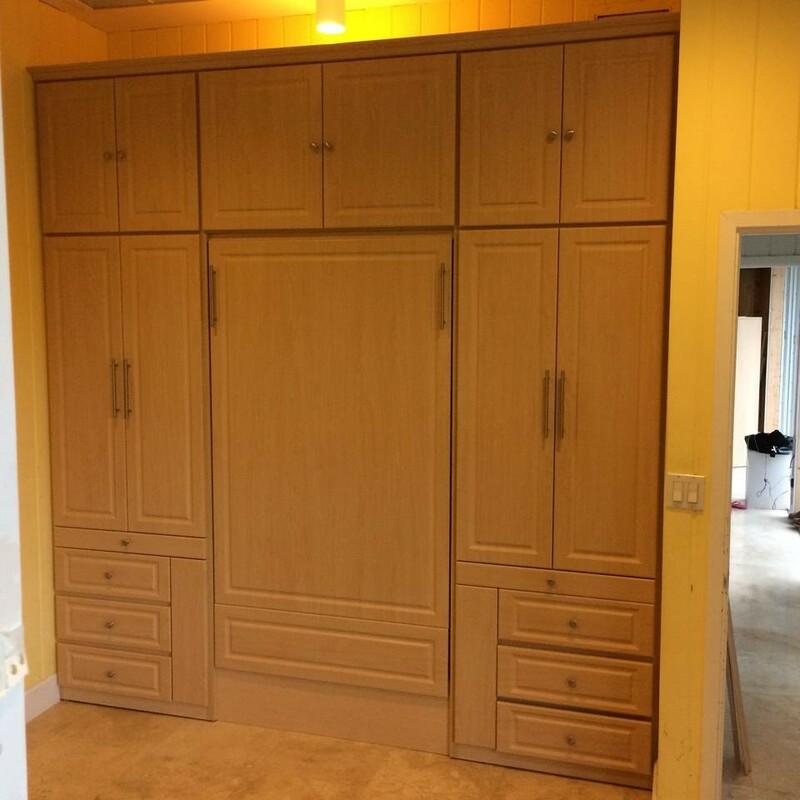 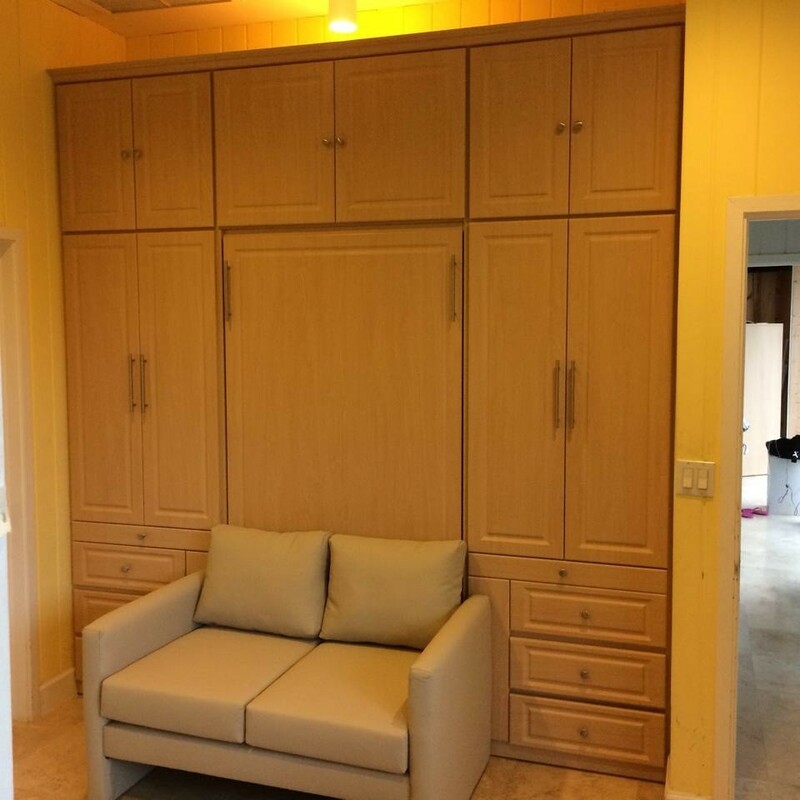 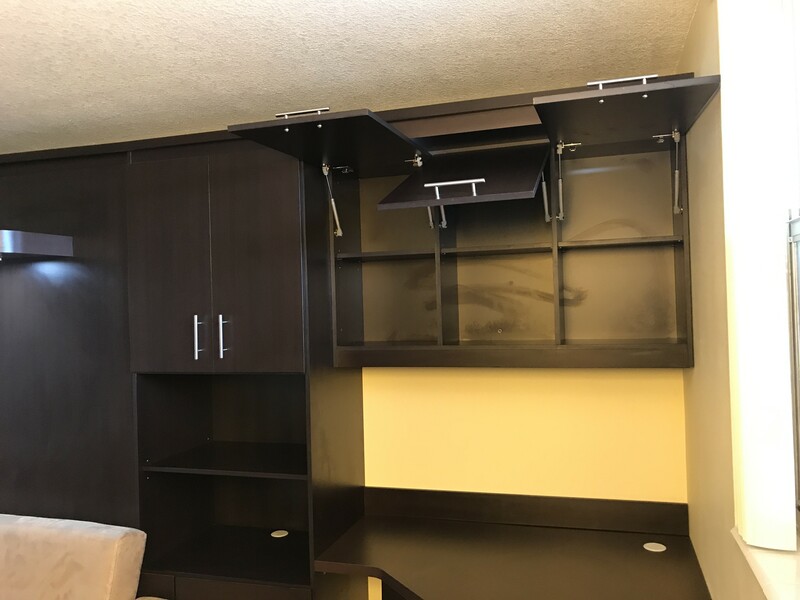 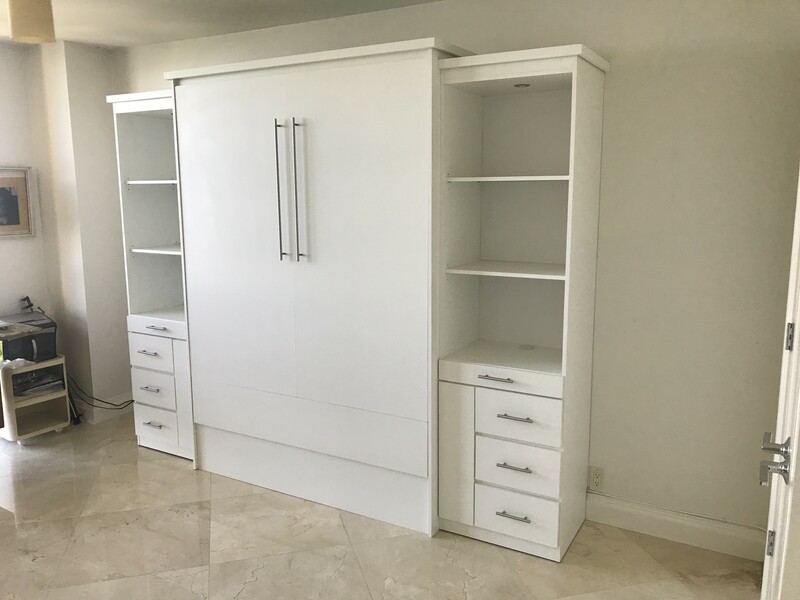 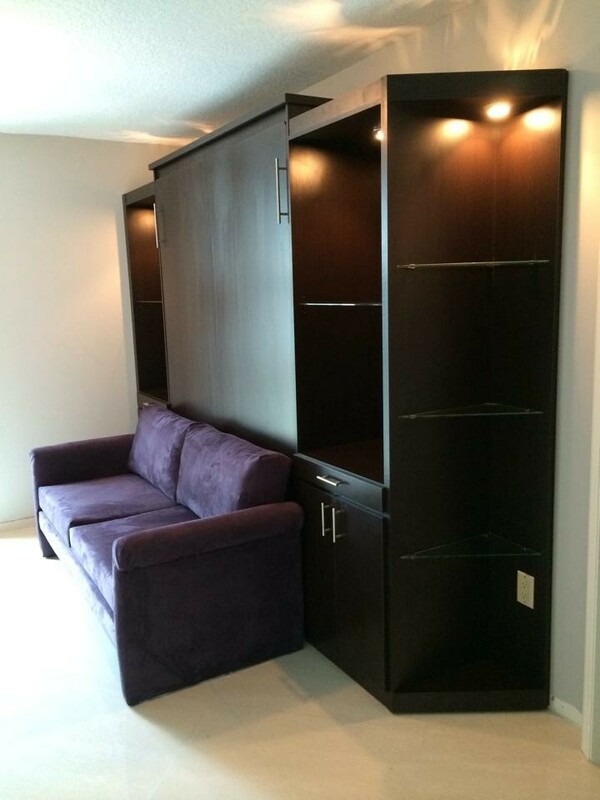 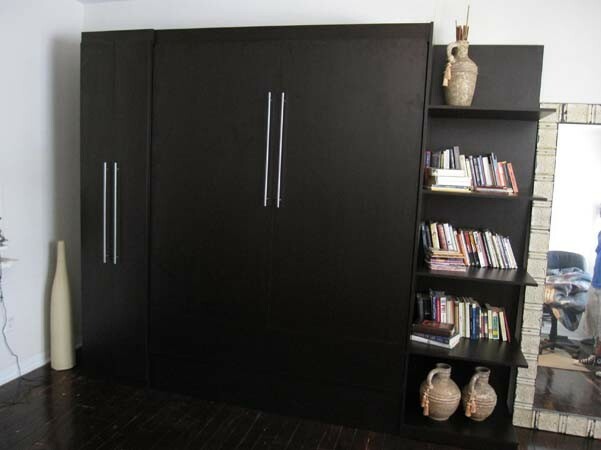 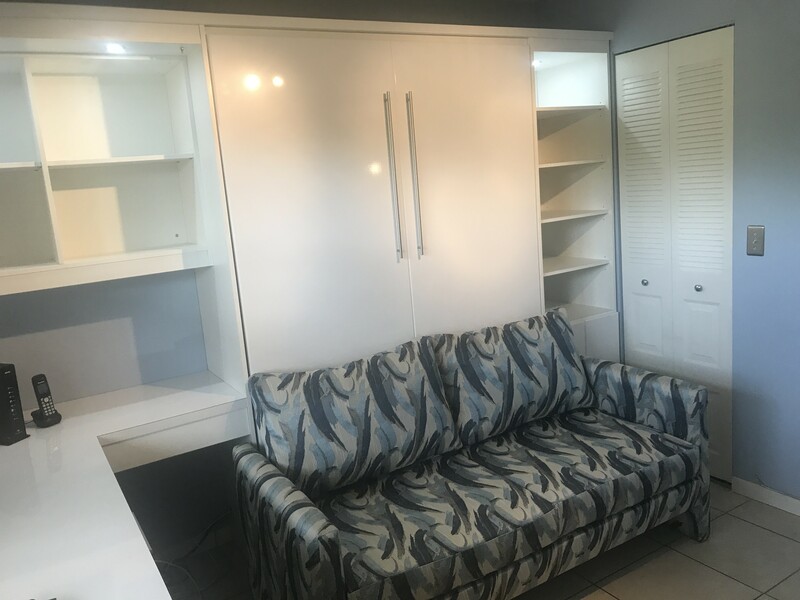 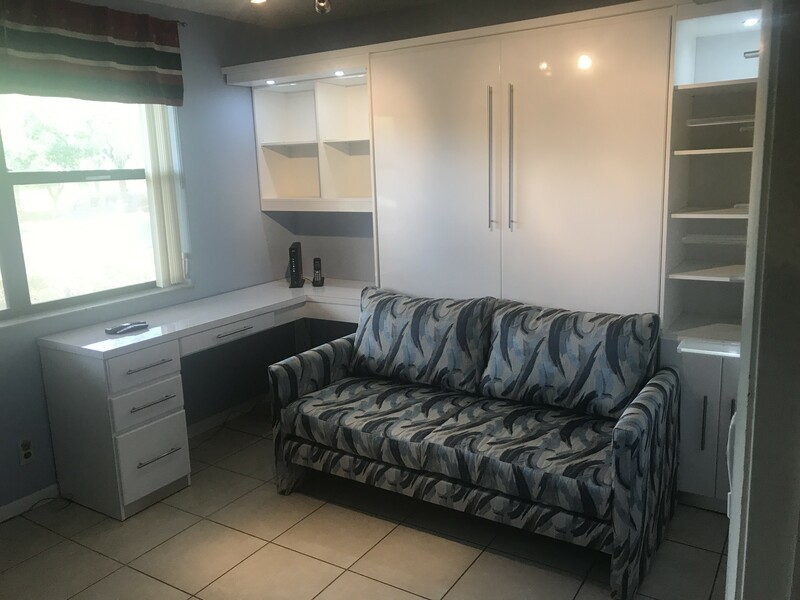 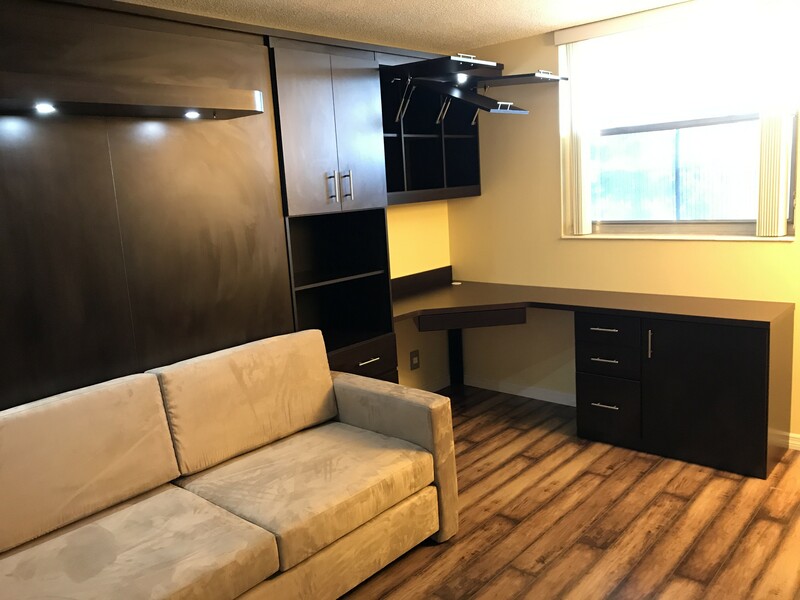 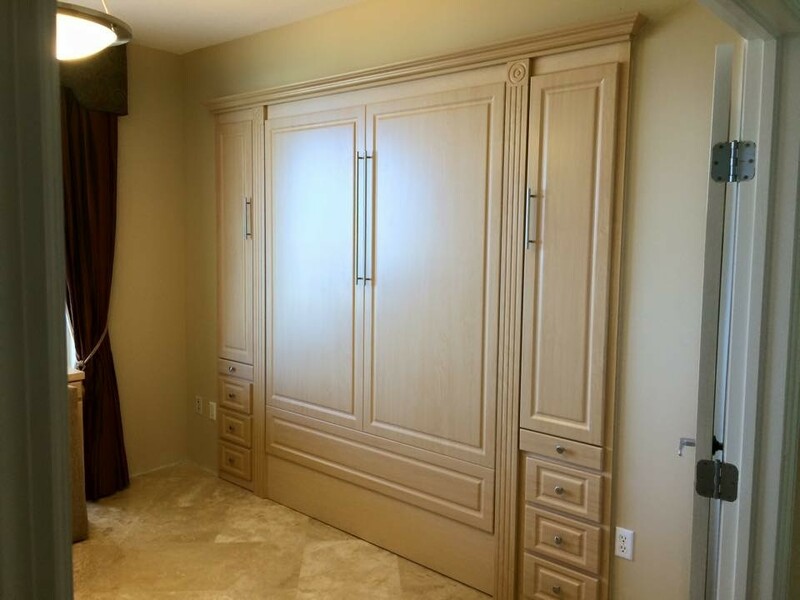 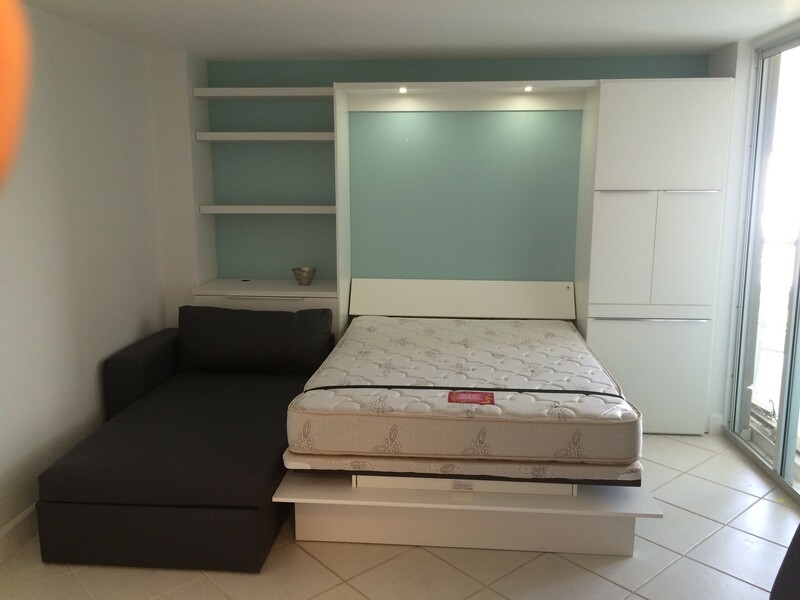 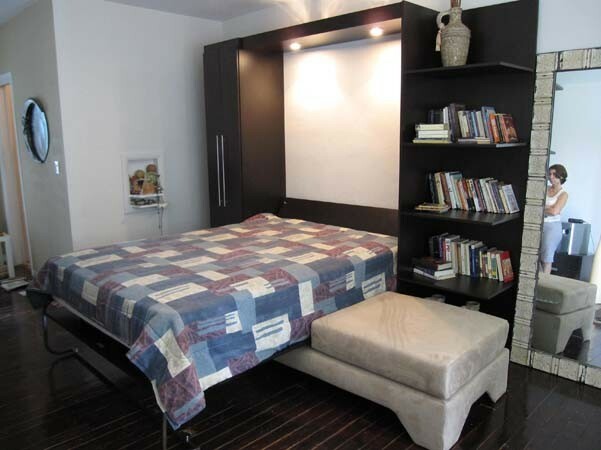 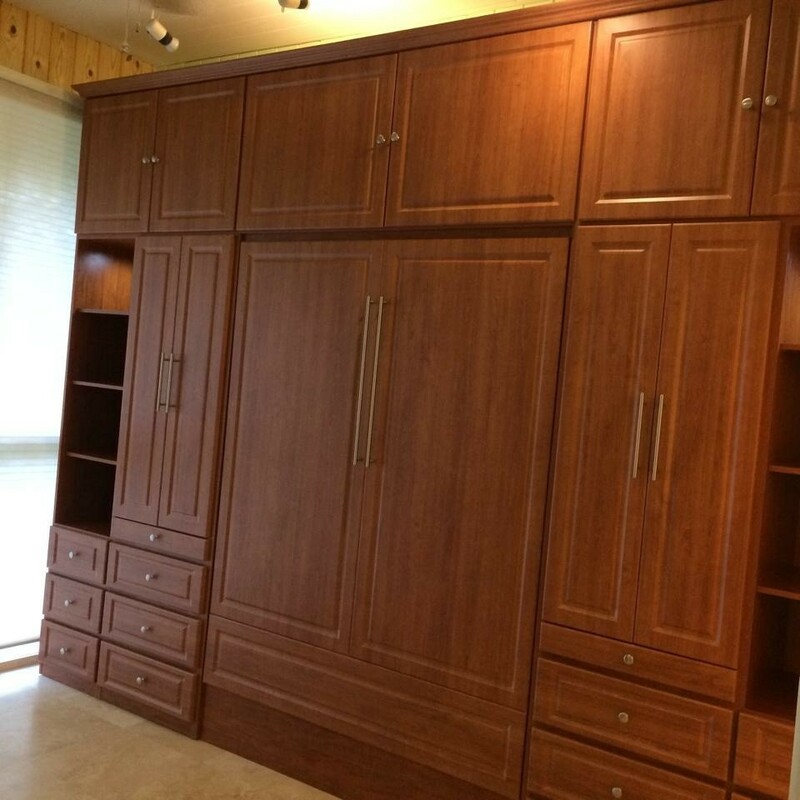 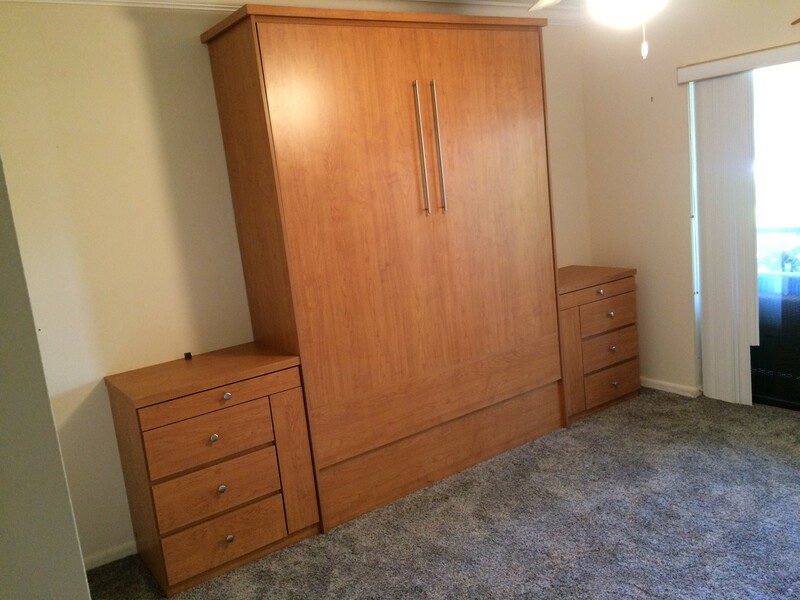 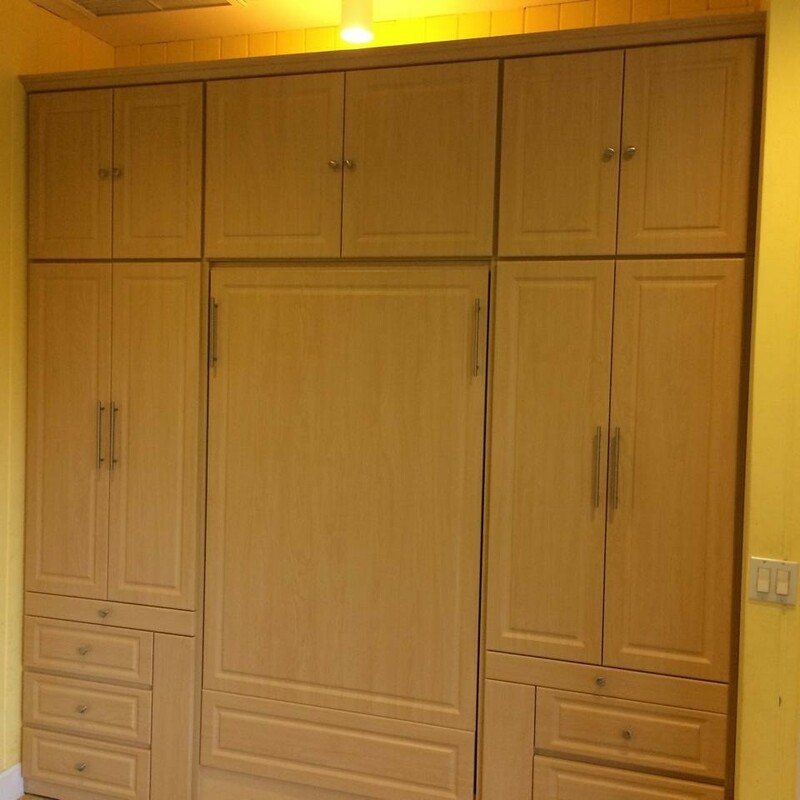 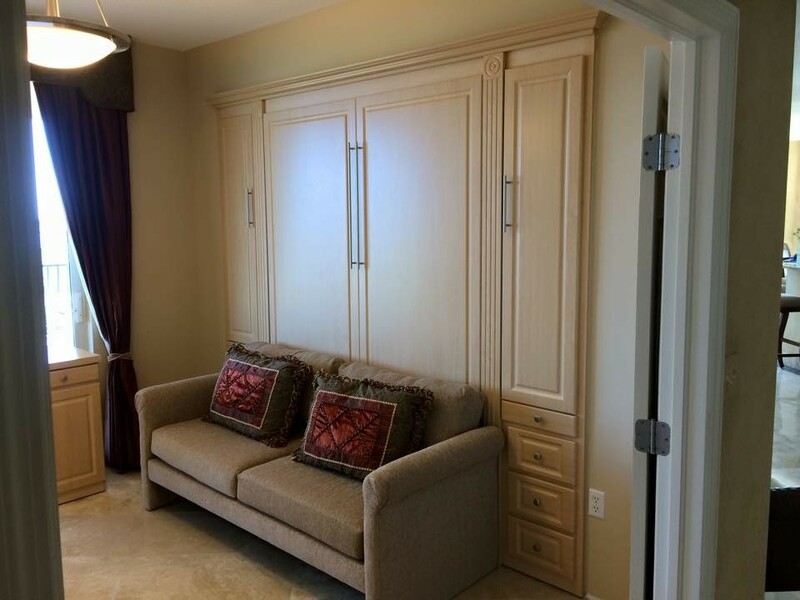 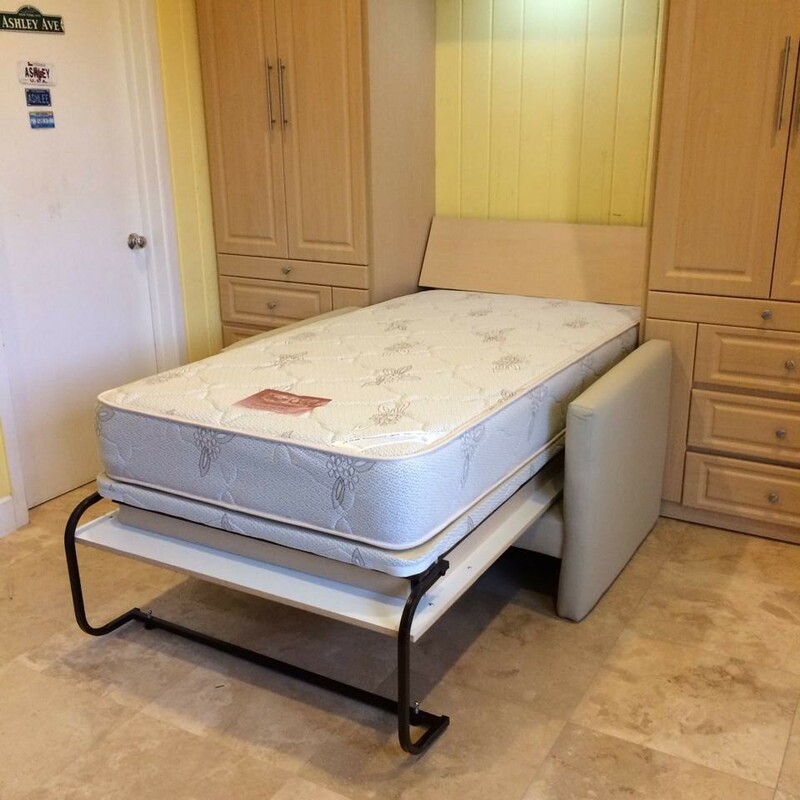 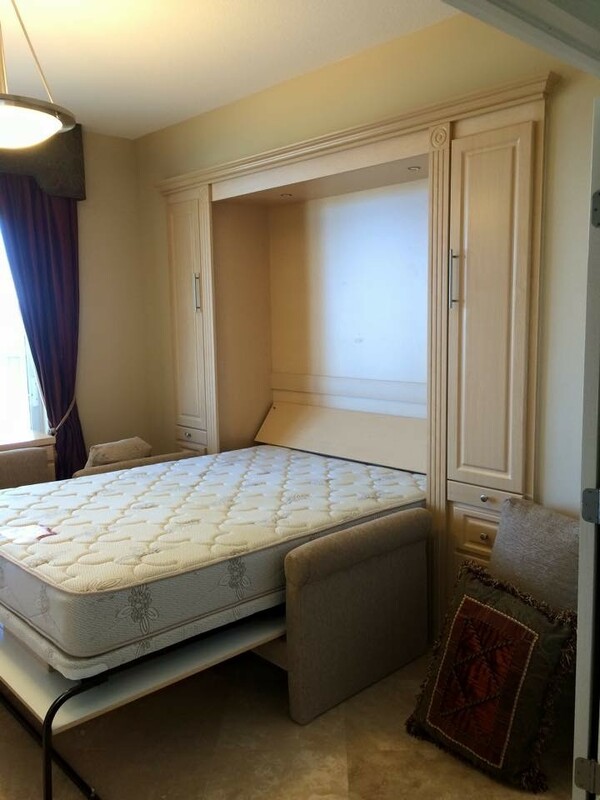 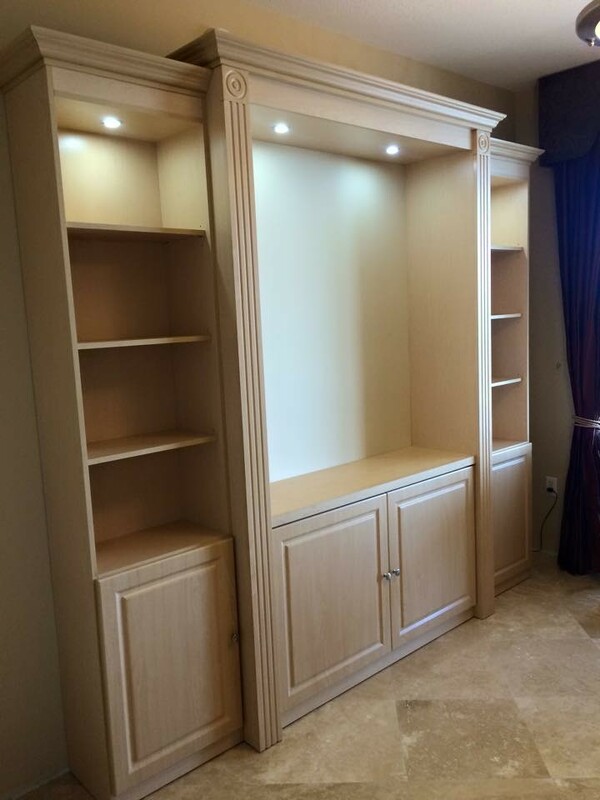 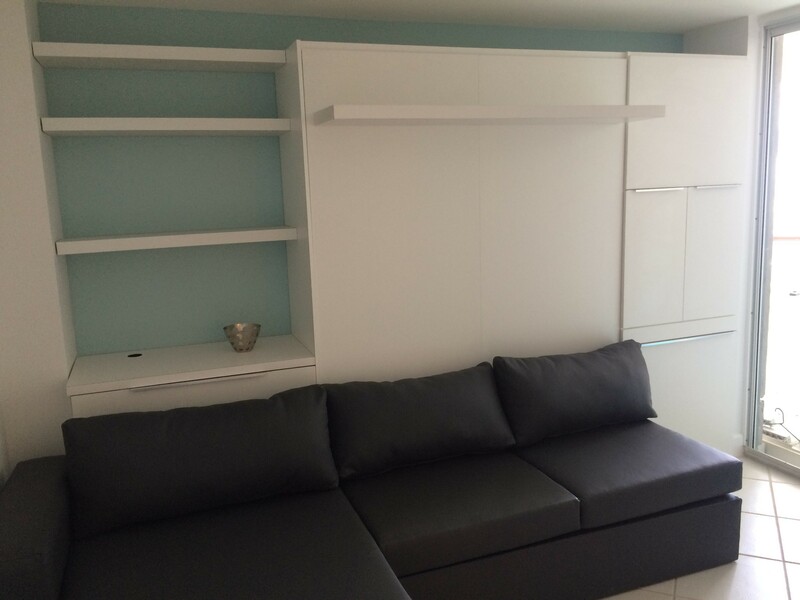 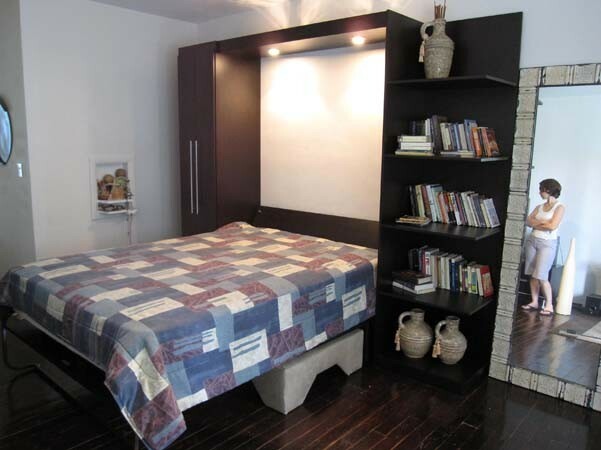 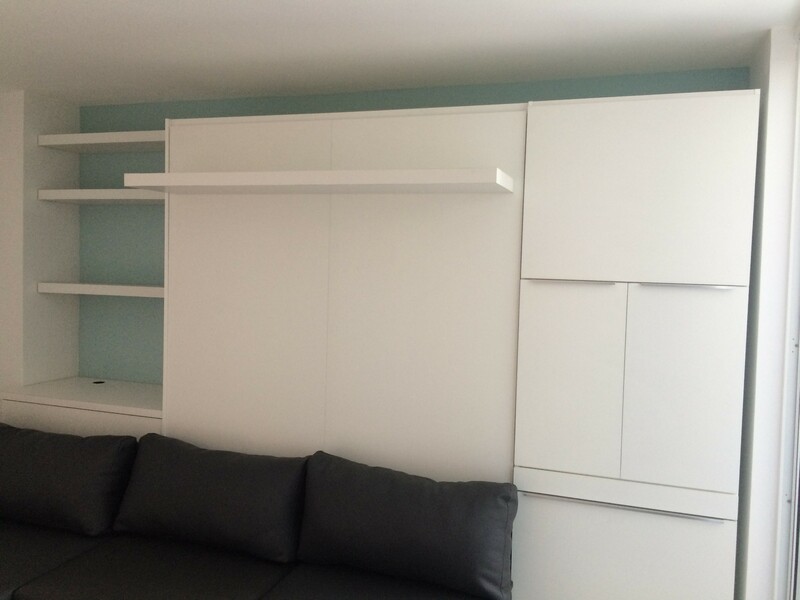 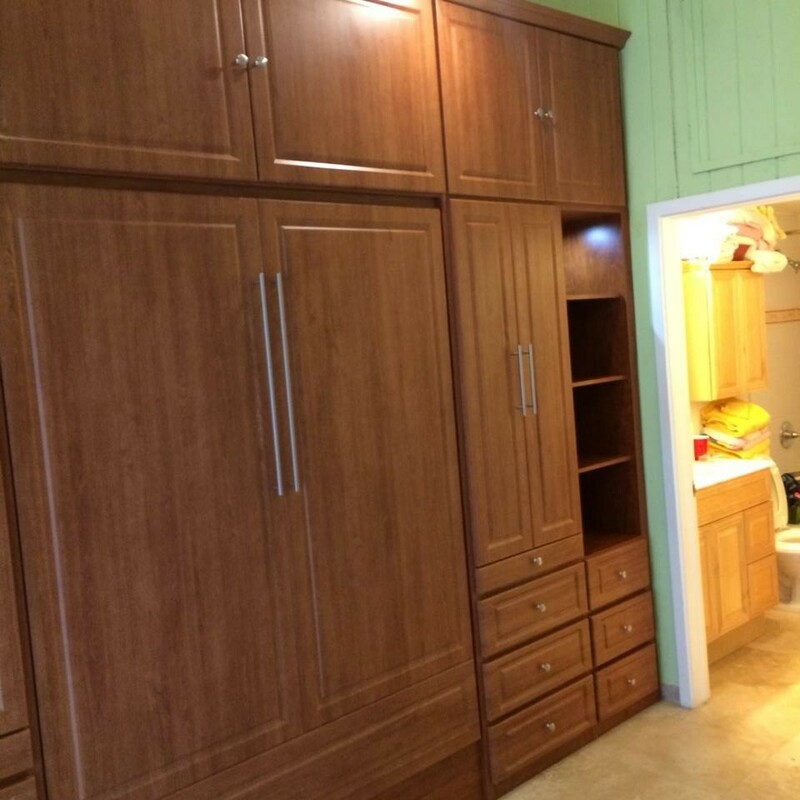 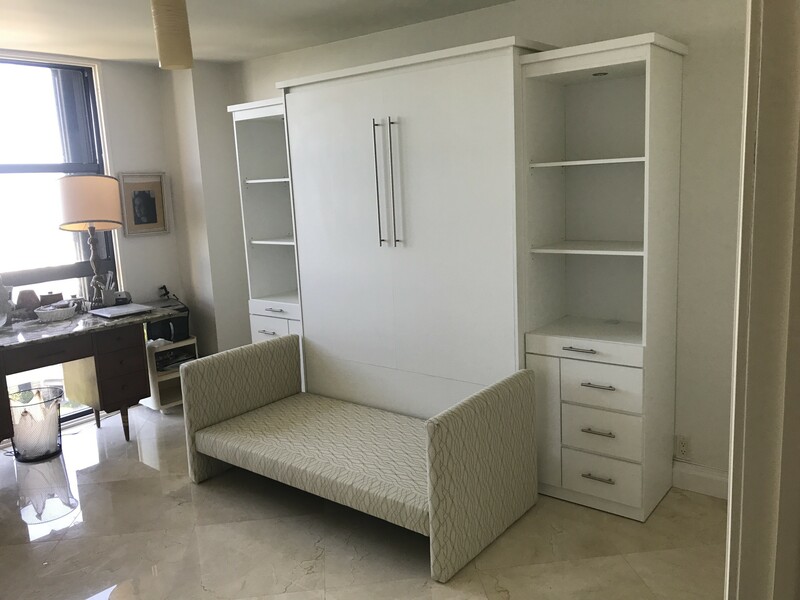 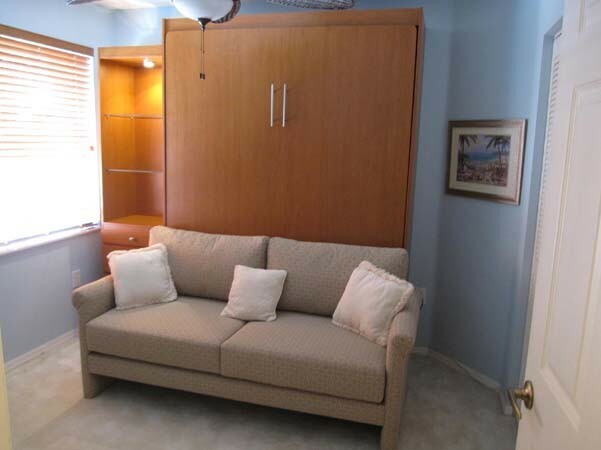 If your room is narrow, you’ll find that placing extra furniture is a common challenge. 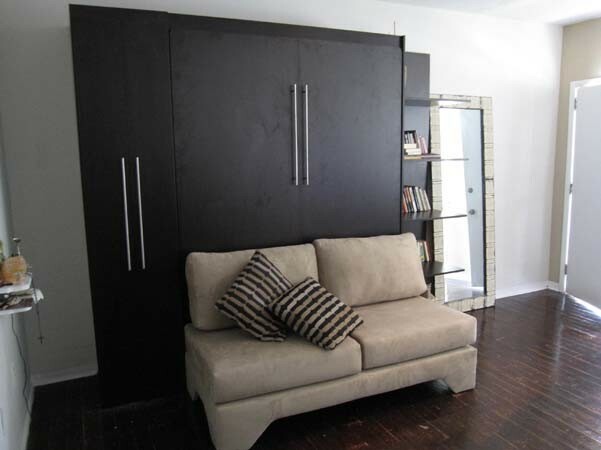 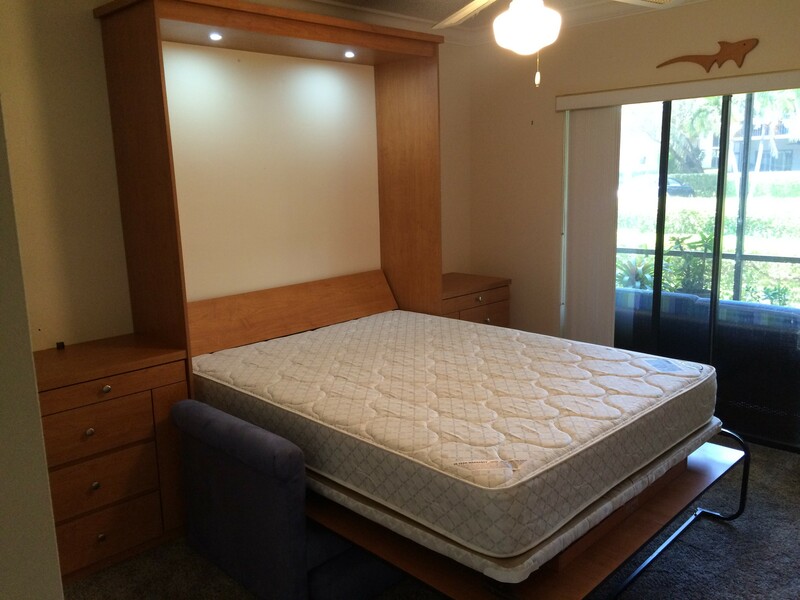 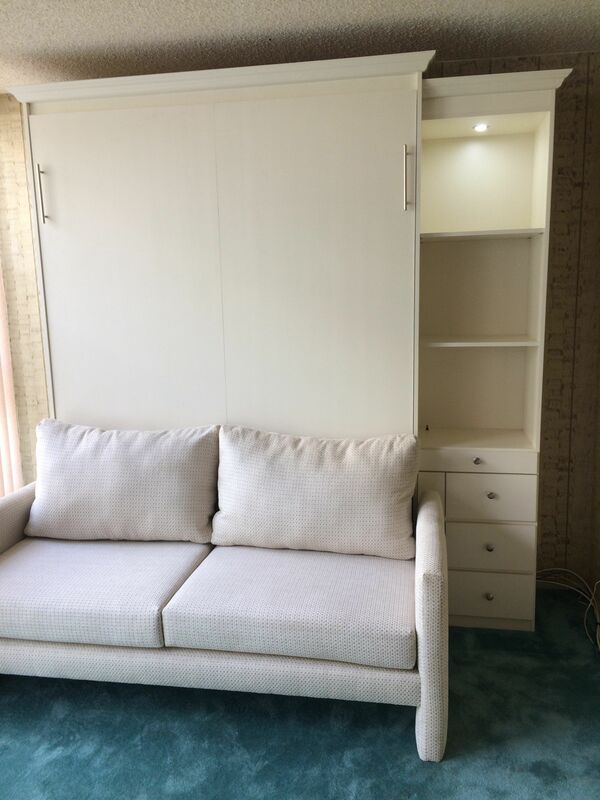 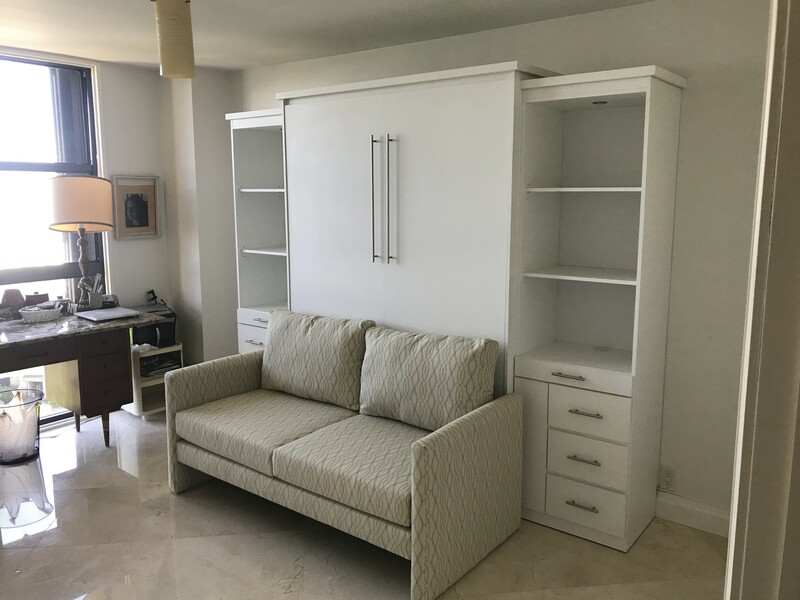 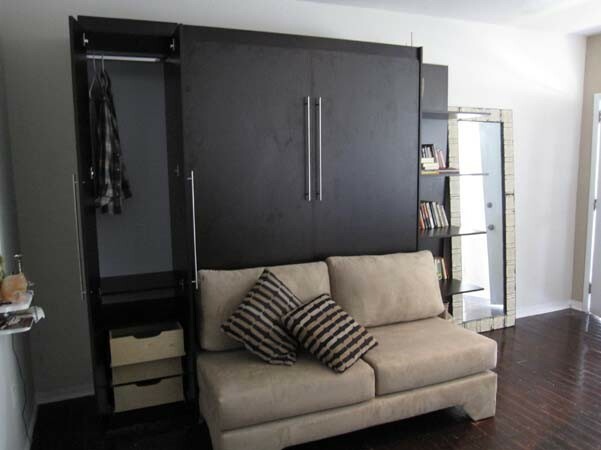 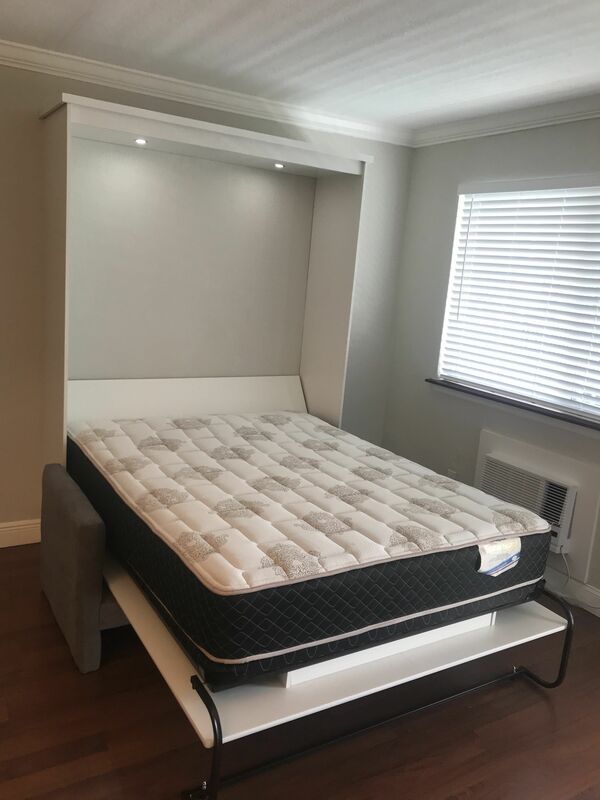 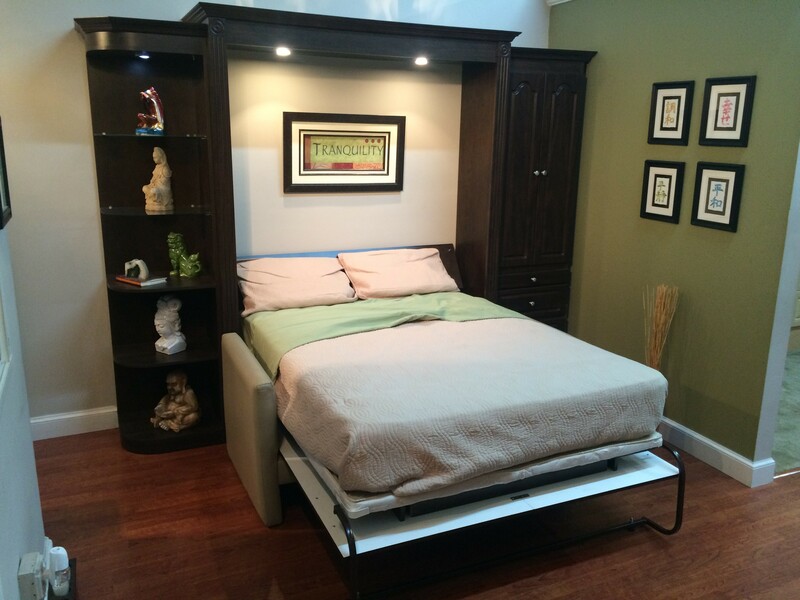 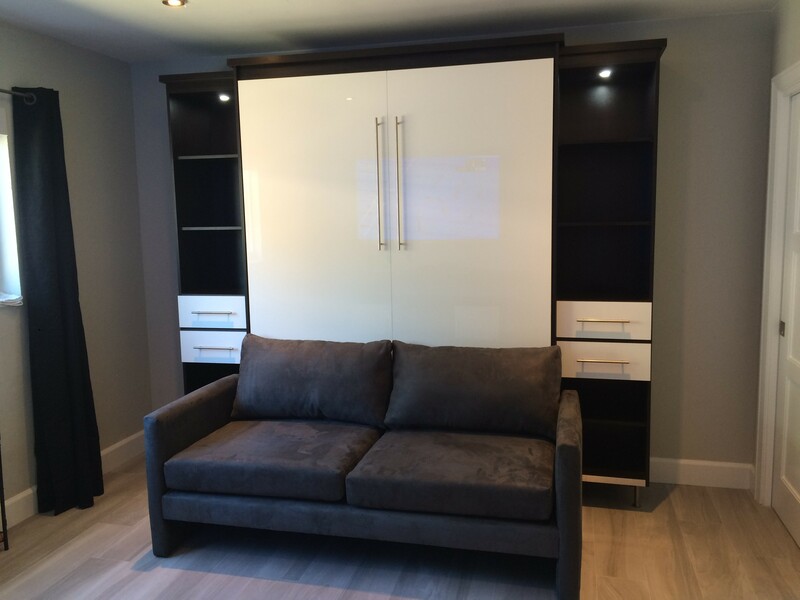 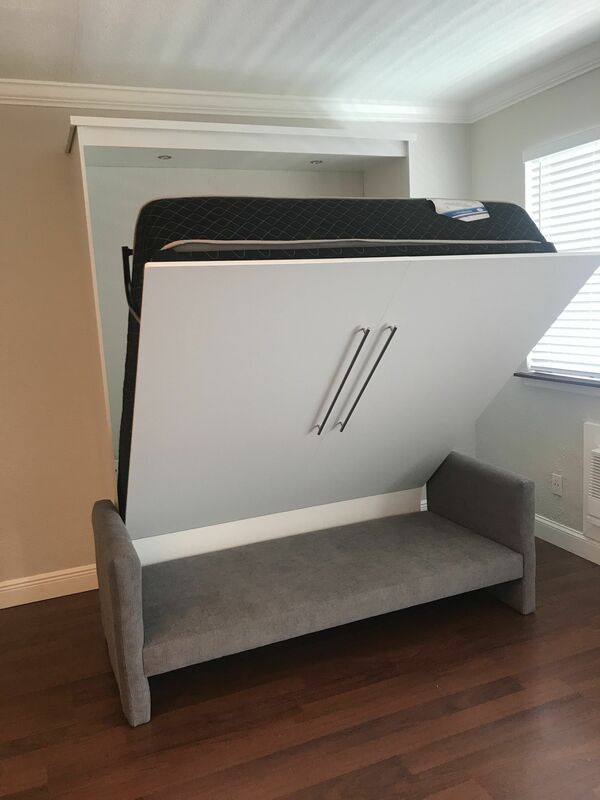 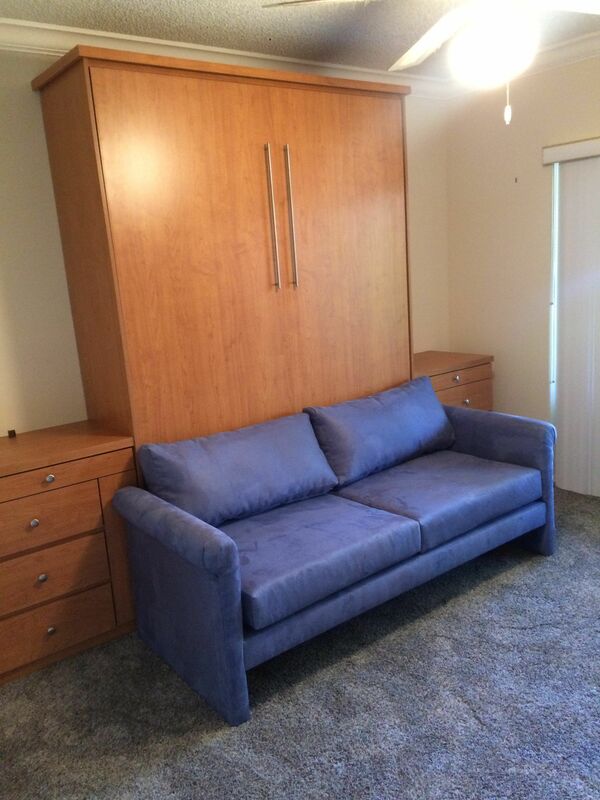 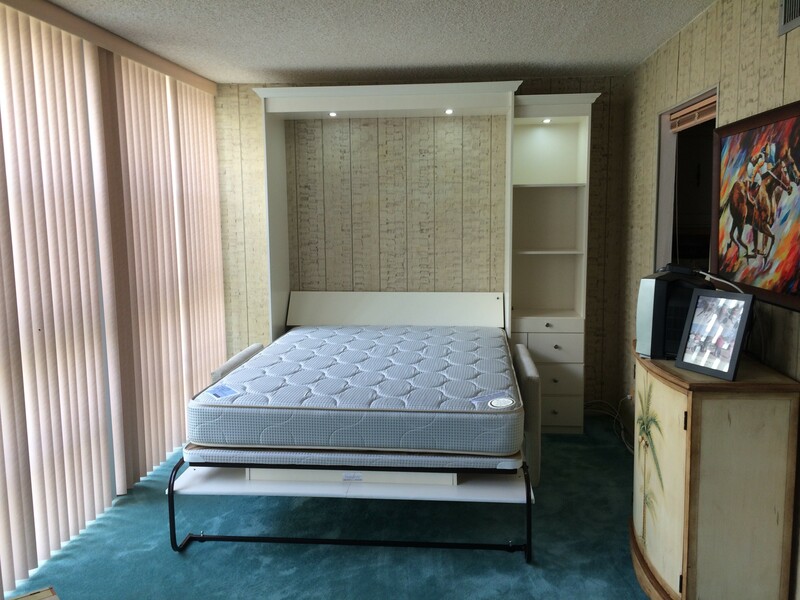 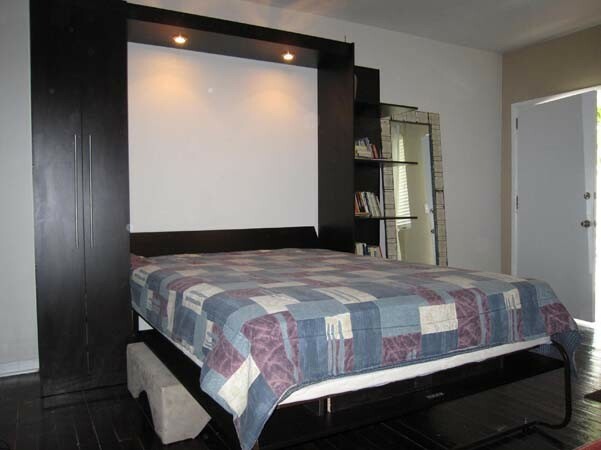 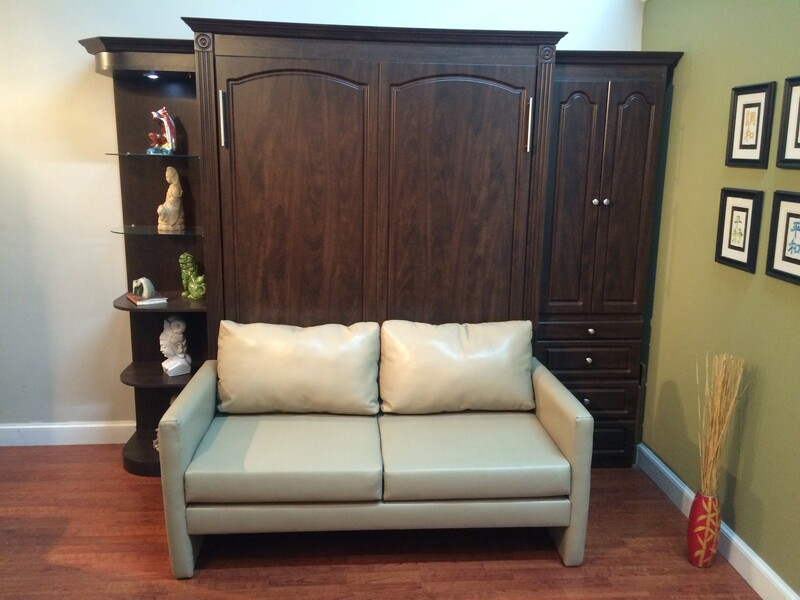 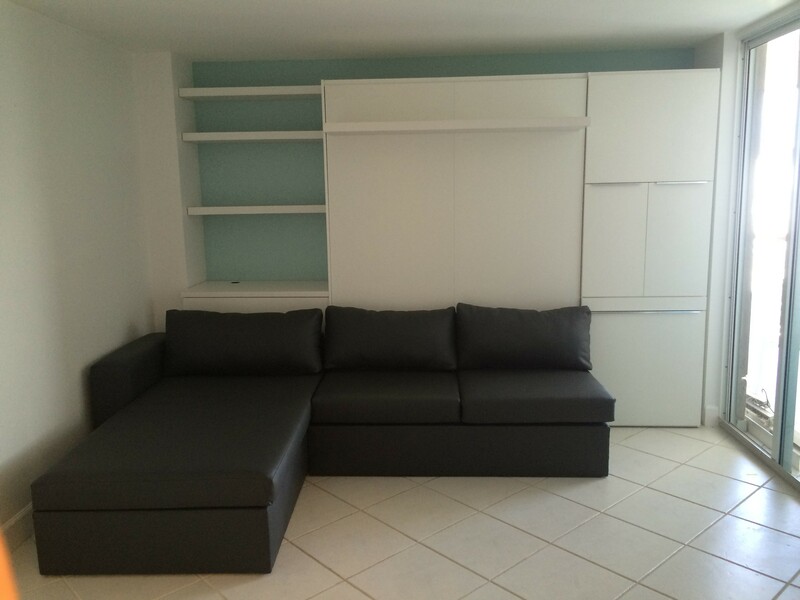 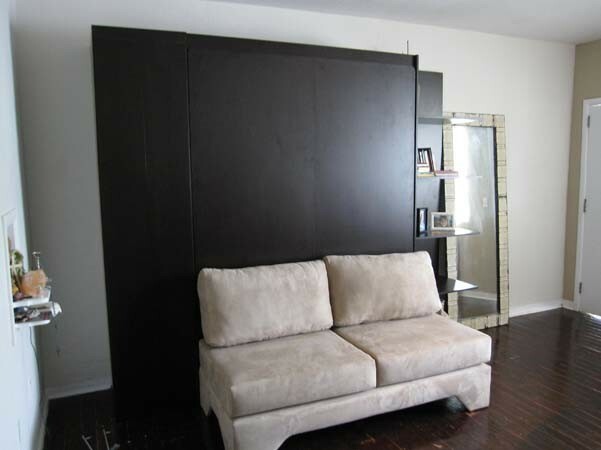 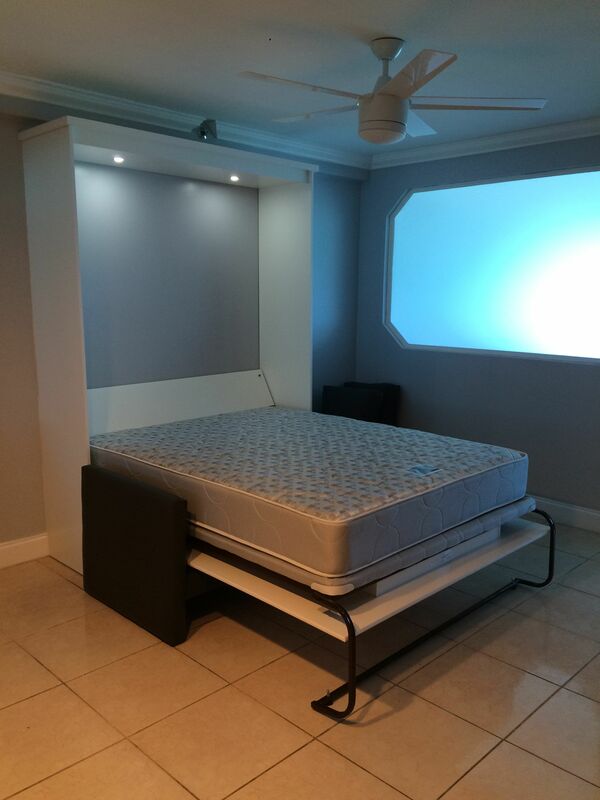 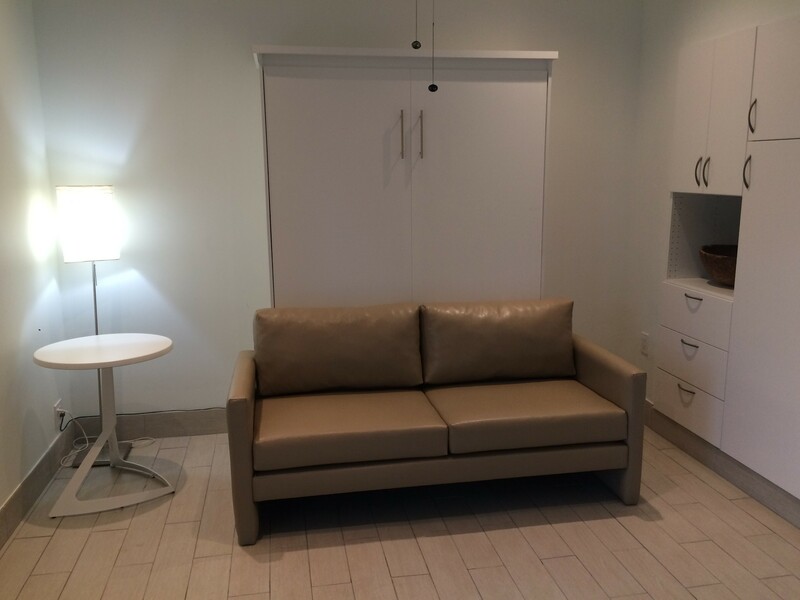 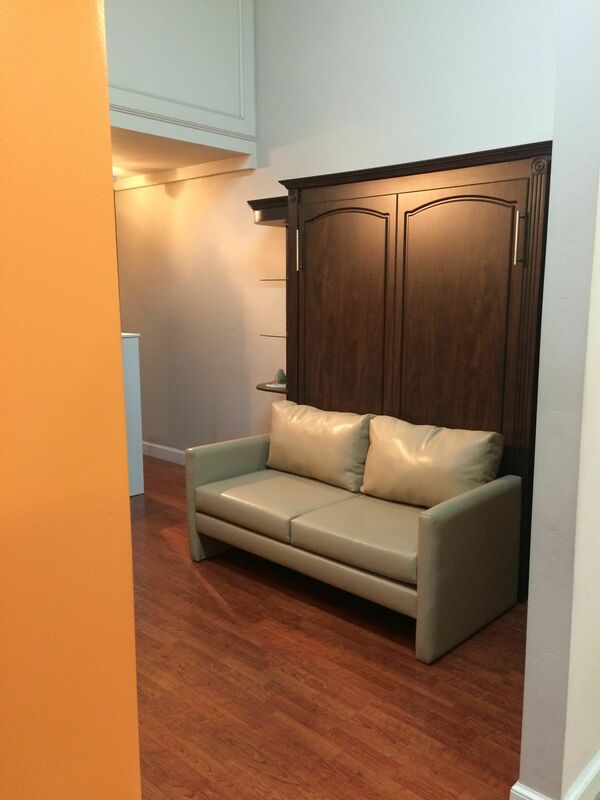 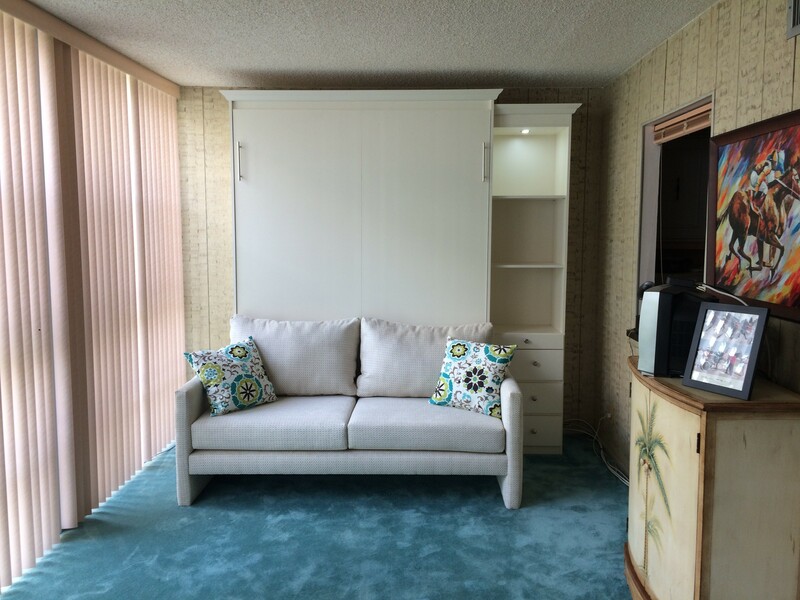 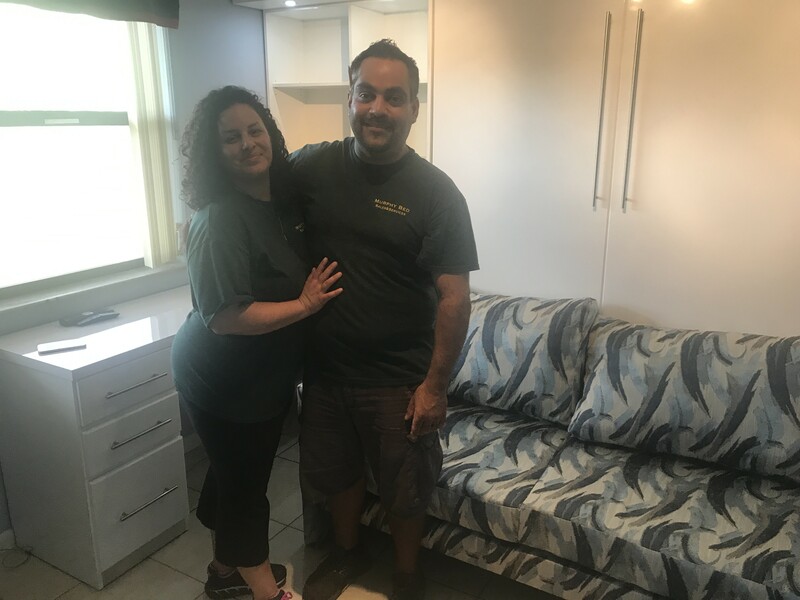 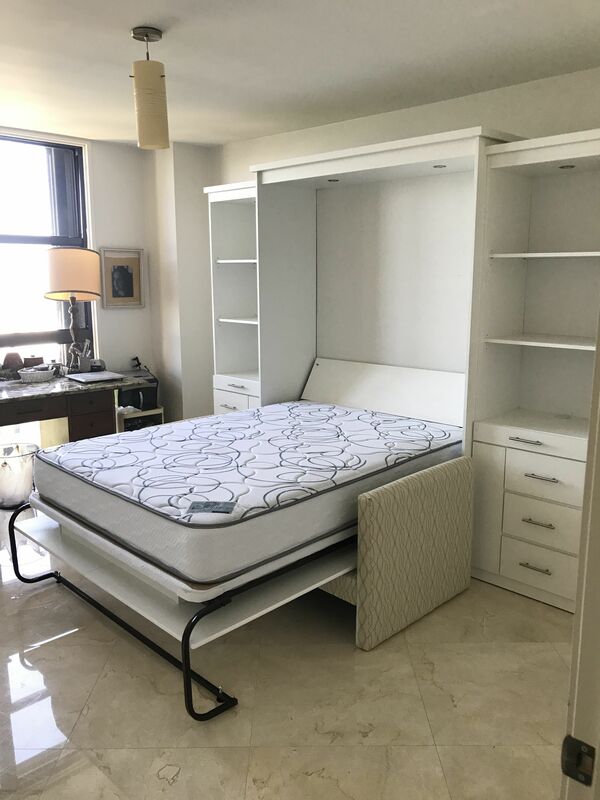 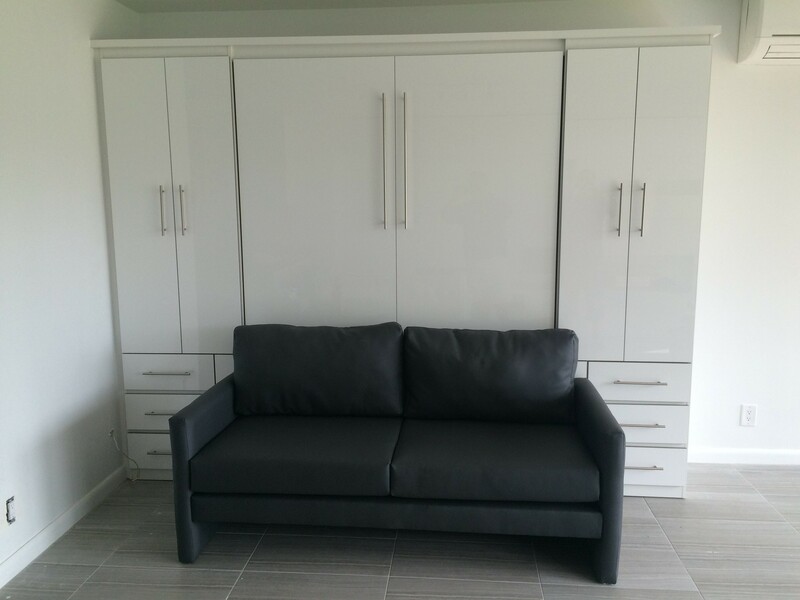 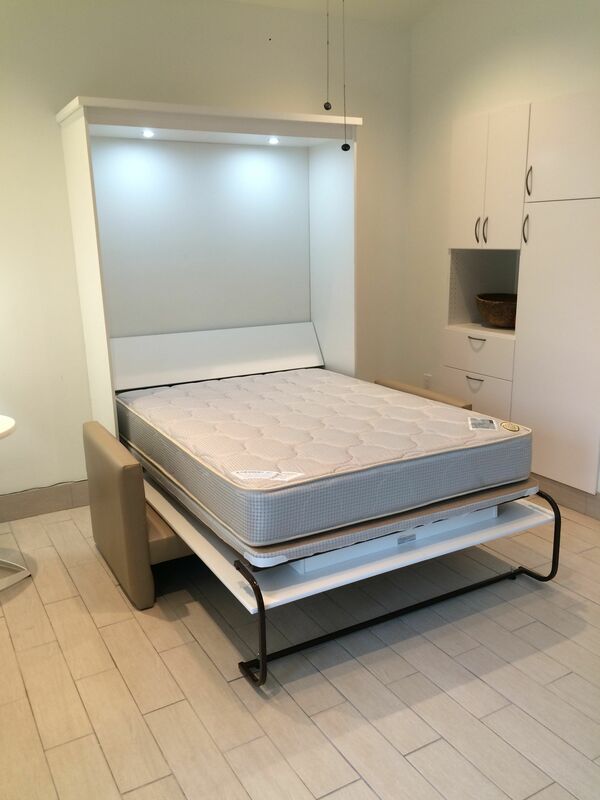 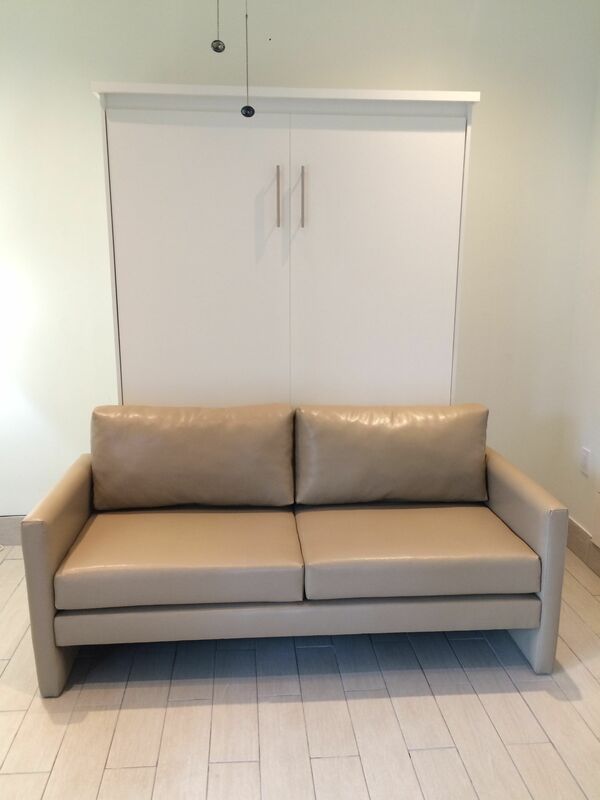 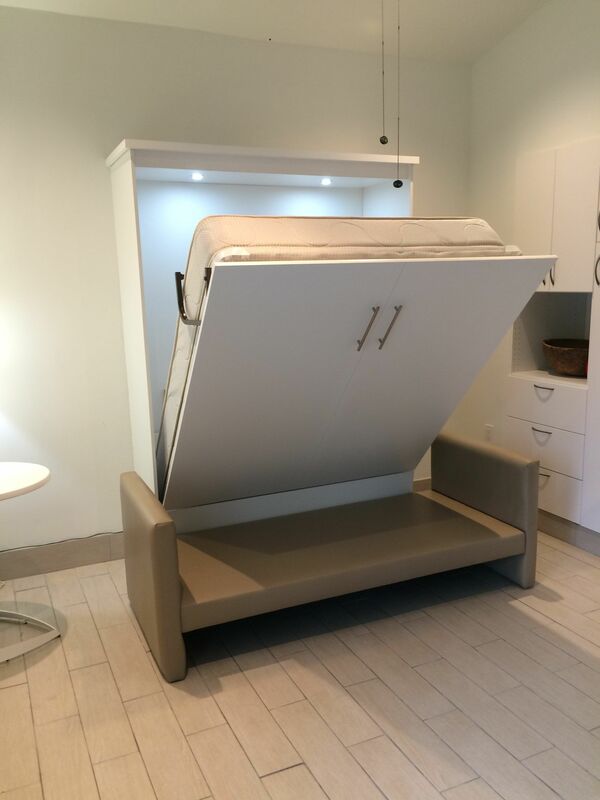 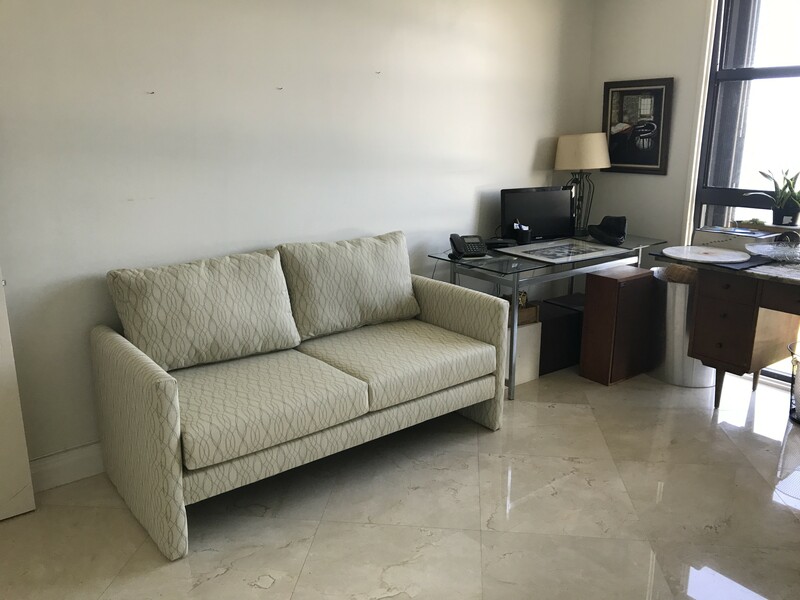 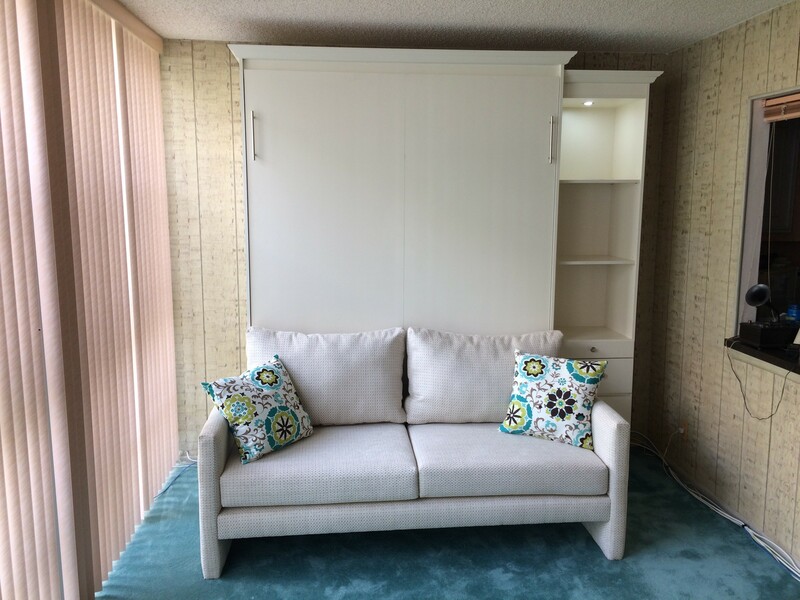 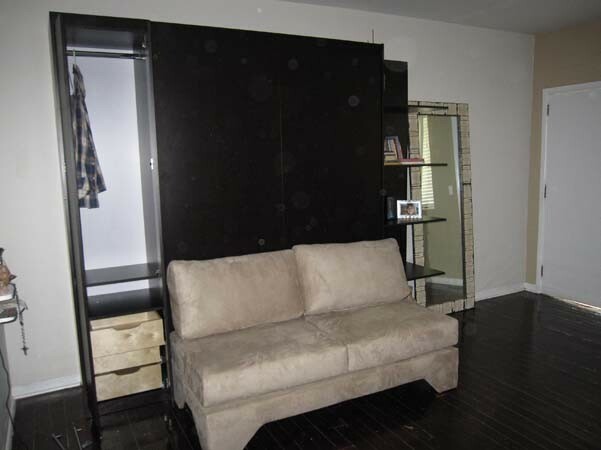 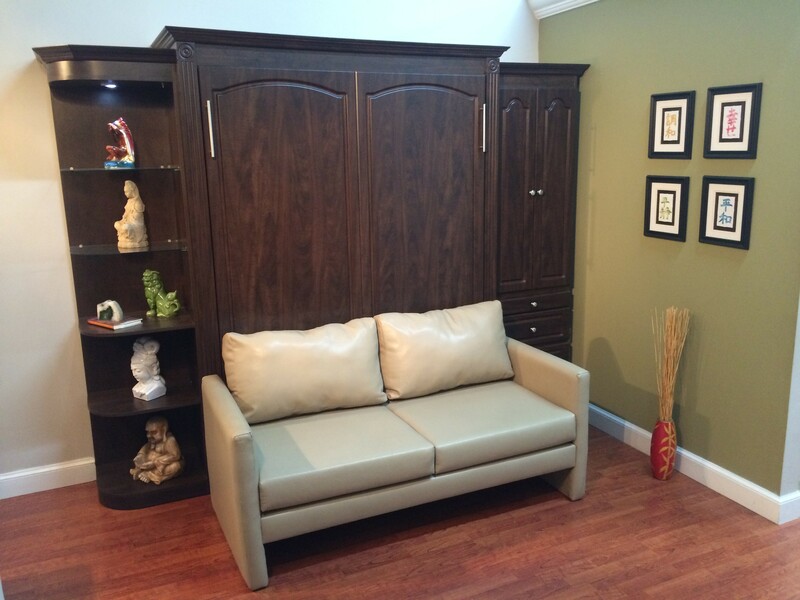 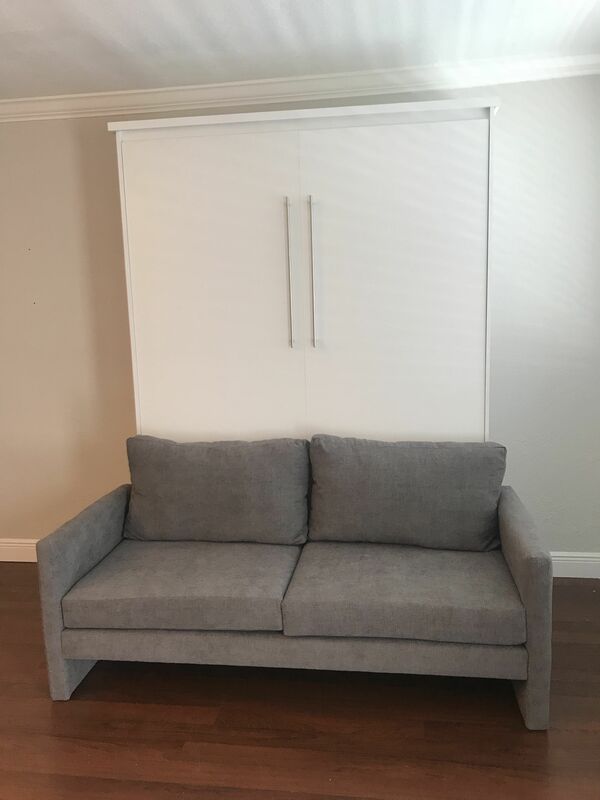 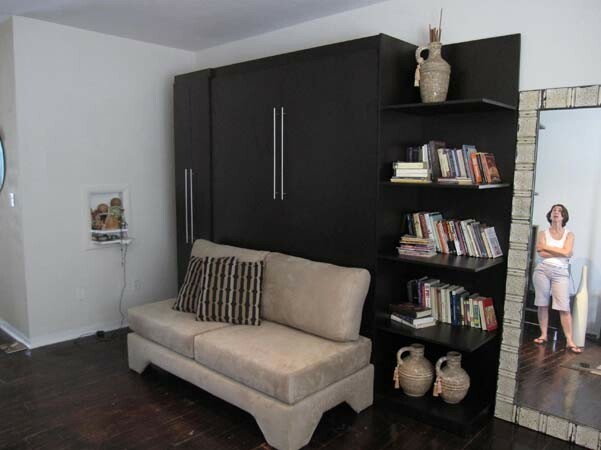 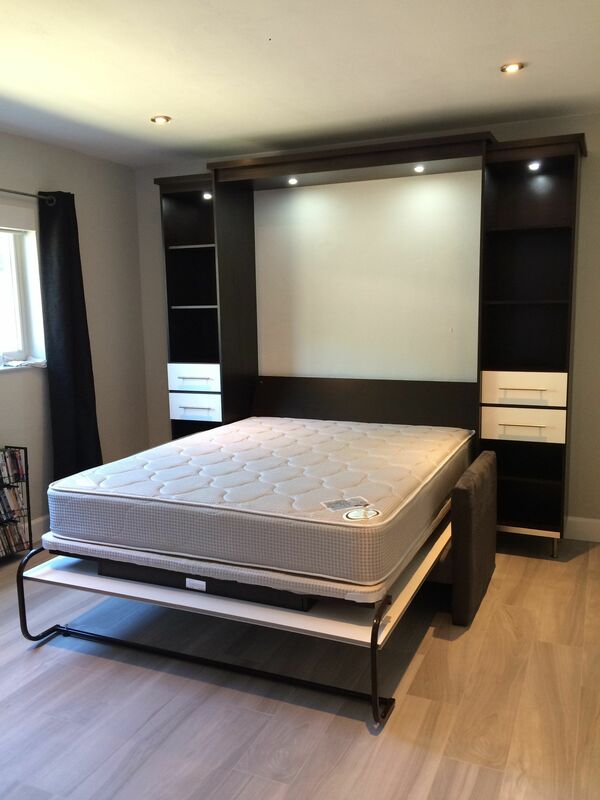 For best results add a Murphy sofa in front of your Murphy bed. 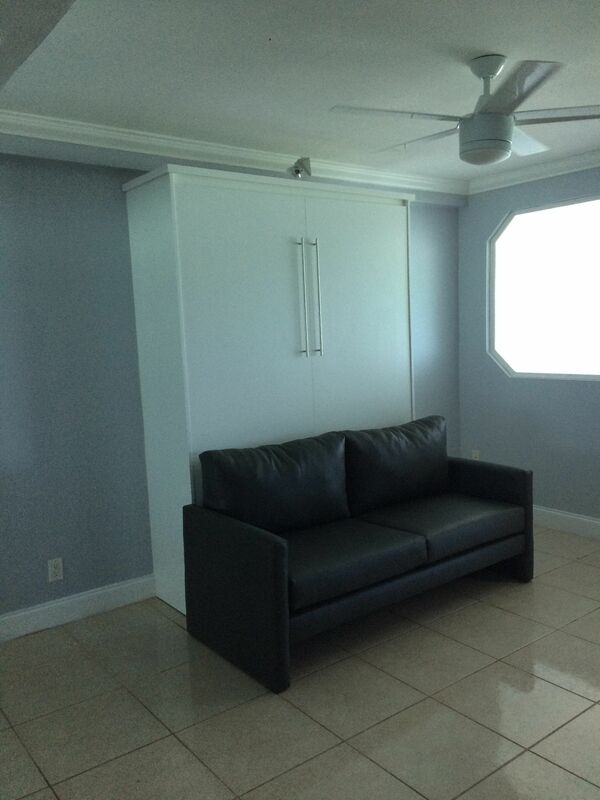 Now you may relax, watch TV or read a book. 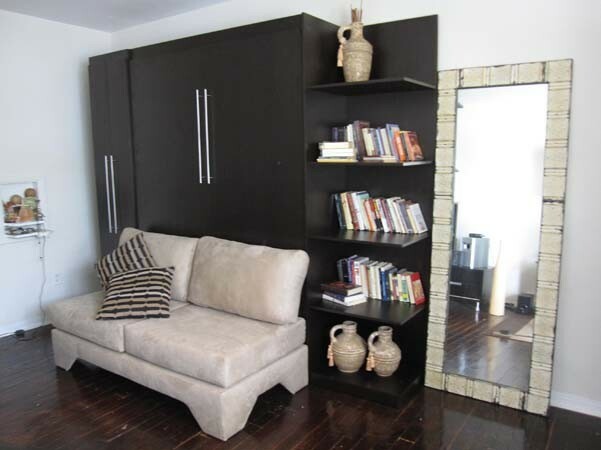 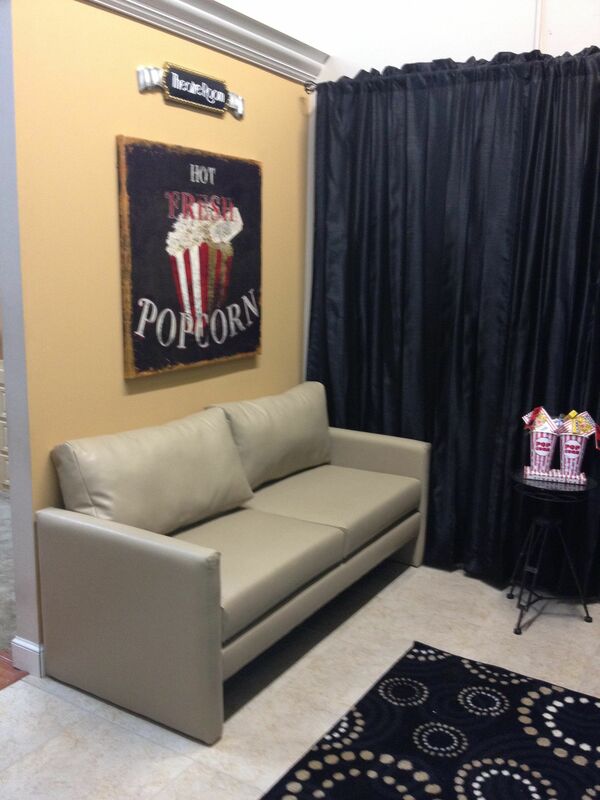 Take advantage of your uncluttered area.